for persons who may find themselves in a life-threatening or emergency situation when they are unable to help themselves. It is convenient for the elderly and for people with health or mobility problems. Using a smart device, which the user carries on him/her, keeps him/her in constant contact with a team of assistants ready to help 24 hours a day, 7 days a week. HOW DOES THE REMOTE ASSISTANCE WORK? TO WHAT EXTENT CAN IT HELP?  WHAT DO OUR CUSTOMERS SAY ABOUT PROTECTU? We acquired your service for our father about 2 years ago. Our father is 96 years old; he can move around the house, but he has already stopped going out. Mentally he is absolutely fine. Although we regularly visit him, the help of your service makes us more confident and sure that he will not stay alone in difficulties. I think I can say, with a clear conscience, and so would my father that we have been truly satisfied with your services. I started being interested in your service when my mother, who is 87 and lives alone, fell down and had to crawl to reach her cellphone which was in another room on the table and she really struggled to get there in order to call me for help (she cannot be made to carry a cellphone with her). At present she has been carrying a "box" around her neck; it is the MOBAS assistance service box with one big button which she can use to call for help quickly in any emergency situation. Moreover, the "box" monitors the movement, which means that for example in case of losing the consciousness, the control center can call someone to help (e.g. neighbors). We have been using the MOBAS assistance service only shortly and we are very satisfied with it. A research team of the joint workplace of Faculty of Biomedical Engineering at Czech Technical University and First Faculty of Medicine of Charles University in Albertov has been dealing with research and development of e-Health and telemedicine solutions on a long-term basis. Research projects are carried out at a high professional level and final proposal is always a response to specific needs in practical applications. I confirm the exceptional quality of the developed solution for the assistance service system (not only) for the elderly and I am delighted that the FBME CTU could significantly contribute to the project implementation.